Coral Travel-Wezyr Holidays hosted the press members who are the most important tourism channel of Poland in the hotel of OTI Holding in Belek, Xanadu Resort High Class. During the four-day program in which editors from Turystyka, Polska Press, Rynek Turystyczny, Gazeta.pl and Mice Poland were hosted, Coral Travel-Wezyr Holidays declared that its early reservation Europe destinations sales increased more than 65% and presents holiday alternatives from 7 cities via its 1900 sale agents in Poland to 16 countries and 29 destinations. Since 1999, which is the date it commenced business in Poland, Coral Travel-Wezyr Holidays which is the leader tour operator in Turkish, Egyptian and Bulgarian markets, hosted the Polish tourism press it invited in the hotel of OTI Holding in Belek, Xanadu Resort High Class. 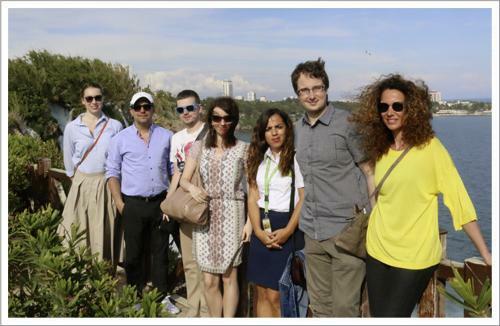 The touristic and historic information about Antalya was presented to the press members via Expo 2016, Kaleici tour and boat tours. The four-day program in which editors from Turystyka, Polska Press, Rynek Turystyczny, Gazeta.pl and Mice Poland were hosted, was realized by the attendance of Coral Travel-Wezyr Holidays's General Director Kaan Ergun.